Skateboard Sibby at Woozles Books in Halifax! Join Michael Hutchinson for his book launch of The Case of Windy Lake! The annual Vancouver Jewish Book Festival is back this year at the Jewish Community Centre of Greater Vancouver ! On Feb 10th don’t miss author Janet Wees reading from her new novel When We Were Shadows as part of the Literary Quickie event. Award winning author Anne Dublin will also be discussing her new novel A Cage Without Bars as part of the children’s portion of the day. For further information please go to: jccgv.com. No ticket purchase necessary. Second Story is excited to exhibit again at the Ontario Library Association's annual Super Conference in Toronto! Find us in Exhibit Hall C at Booth #423. Author of When We Were Shadows Janet Wees will be speaking at the Calgary Jewish Film and Book Festival on Sunday! Don’t miss out on hearing Janet speak and grabbing a copy of her book! 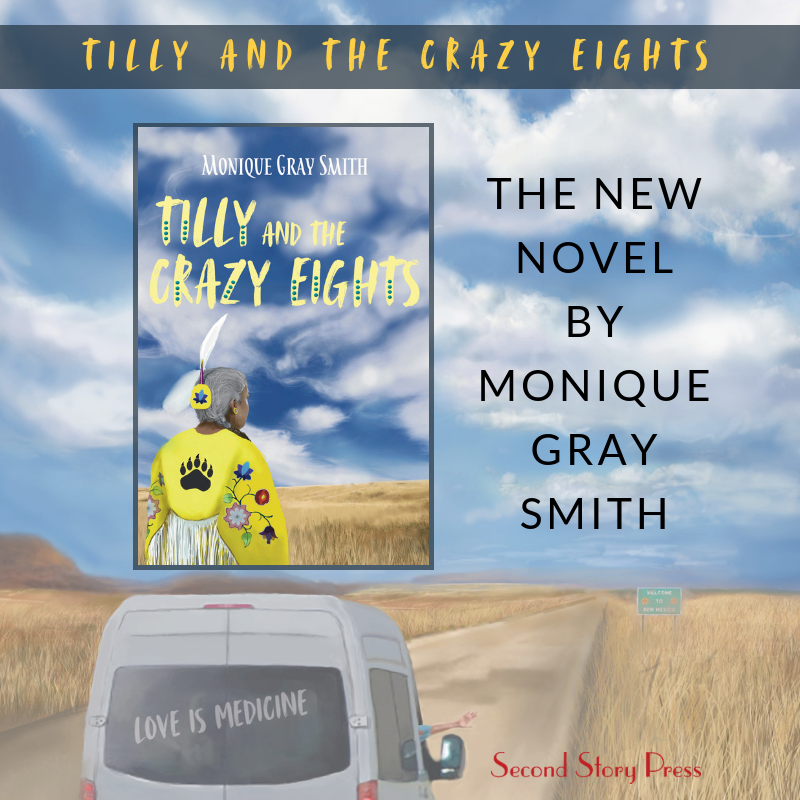 Award winning author, Monique Gray Smith is including Mosaic Books on her tour of Tilly and the Crazy Eights! Don’t miss out on hearing Monique speak, and getting your book signed! Join lawyer, activist and former Chatelaine legal columnist, Linda Silver Dranoff, for the first of a three-part lecture series being held in Beeton Hall at the Toronto Reference Library. These three lectures will be part of the Toronto Reference Library’s On Civil Society series. The first lecture is entitled Violence Against Women as a Tool of Control. Come prepared for a lively and thought-provoking discussion! Fairly Equal by Linda Silver Dranoff will also be sold at the event for $25. Cash and credit will be accepted. Join Monique Gray Smith for the launch of her latest book Tilly and the Crazy Eights at Audreys Books! Join Monique Gray Smith for a family event on Saturday November 3rd at The Bookshelf in Guelph! 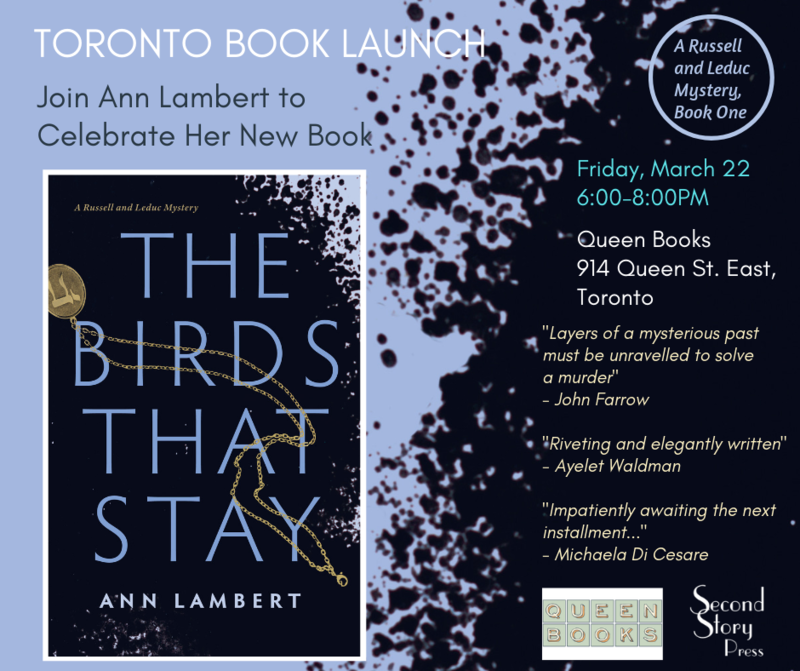 Join Anne Dublin for her book launch of A Cage Without Bars! CONSPIRACY OF HOPE: THE TRUTH ABOUT BREAST CANCER SCREENING - An explosive book that exposes the truth about breast cancer screening. Café Philosophique presents author Renée Pellerin in conversation with Joanna Henry and moderated by Lorraine Greaves. The first lecture is entitled Empowering Women at Work. Come prepared for a lively and thought-provoking discussion! Join Monique Gray Smith for the Saskatoon launch of her new book Tilly and the Crazy Eights! When Tilly receives an invitation to help drive eight elders on their ultimate bucket-list road trip, she impulsively says yes. The adventure will transform her in ways she could not predict, just as it will for the elders who dub themselves “the Crazy Eights.” Heading to the Gathering of Nations Pow Wow in Albuquerque, the trip proves to be powerful medicine. By the time their bus rolls to a stop in New Mexico they feel ready for anything. But are they? Christene will be giving a reading, and signing copies of her new book Philomena (Unloved). There will also be a sneak peak of Christene's upcoming feature documentary Farewell Regent. On September 23rd there are two different Word on the Street festivals. One is in Toronto, Ontario, and one is in Lethbridge, Alberta. Come meet Second Story Press at booth #KS22, where you can meet the team, and purchase our numerous and award winning books! Word on the Street Toronto is open from 10 am until 5 pm. Some of our authors will also be attending the festival! Naomi M. Moyer, author of Black Women Who Dared will be at the TD Children's Literature Tent from 1:20 to 1:40. Jenny Kay Dupuis, author of I Am Not a Number will be at the Indigenous Voices Tent from 11:00 to 11:30. Elizabeth Atcheson and Lorna Marsden, authors of White Gloves Off will be at the Audible Presents Great Books in the Lakeside Terrace from 10:00 to 10:45. Word on the Street Lethbridge, Alberta is also on September 23, 2018, and is open from 11 am until 5 pm. 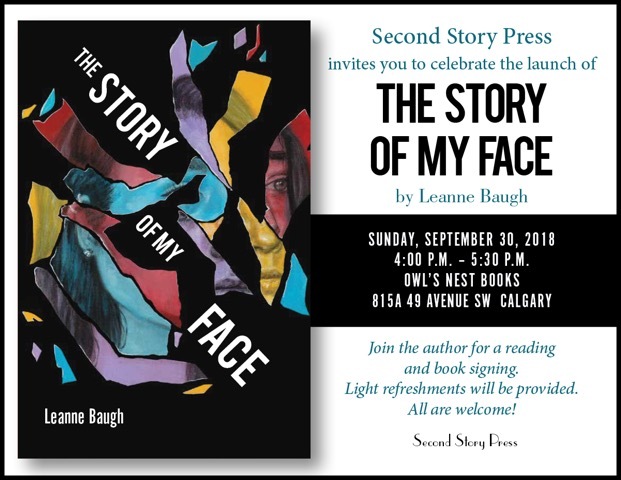 One of our authors will be attending Word on the Street, Lethbridge Alberta! Fartumo Kusow, author of Tale of a Boon's Wife will be at the festival at the Canadian Heritage Author Stage from 12 pm to 1 pm. This year is the 10th annual Telling Tales Festival! The mission of the festival is to "deliver outstanding literary programming for children and youth that raises awareness of the importance of literacy in our communities." This year, our own Melanie Florence, author of Stolen Words, will be attending the festival! Melanie will be at the Early Settlement Area at 2 pm, and Teen Tales, 4th Floor at 3:20 pm.